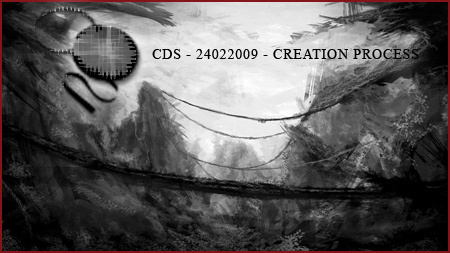 CDS23022009 – Creation Process – High Quality – This is another test for capturing my work process on screen. 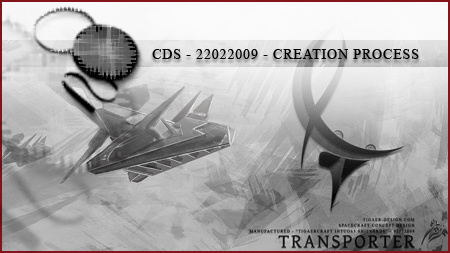 This design looks much better than the previous one. That’s at least what i think. It’s a neat, slick and speedy flyer we got here. I noticed that i did not have the palettes on screen while working… so in the following, not this one, video i changed my photoshop layout from dualscreen to singlescreen so you can see a bit more what’s happening in the palettes. 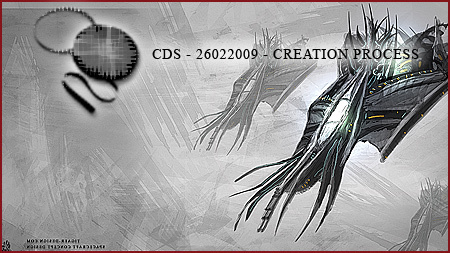 CDS22022009 – Creation Process – High Quality – Right now i’m testing to screencap some of my painting work. I’m still trying to find the right settings. So this video, as well as the following videos, can be seen as a test. 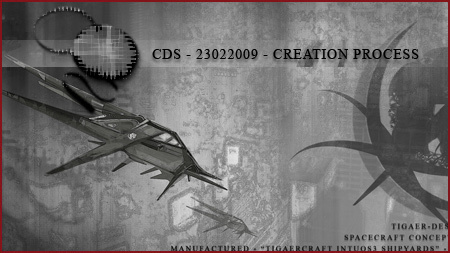 I love it to create spaceship designs. For a few months now i’m trying myself in it and produced some nice results. I’m surely not the super hi-end concept artist but i think it’ll be, nonetheless, interesting to see how things take shape. Lets see what i can come up with doing these screencap videos inthe future. Have a few ideas. These shorts here are basically just a test. Have Fun! The concept shorts will not be longer than 2mins and released here in 720p HD (quicktime), as well as youtube in reduced quality. When i submitted the video to the various video galleries on the net, i also asked for sound designers who might be interested in doing some tunes for the shot. I think sound and music lift certain movies into higher spheres… especially when it’s atmospheric thick setups like the short movie i did with that painting. Music and sound helps to transfer the actual idea to viewer much much better. Two people contacted me because of my request. One made me a nice sound effect and the other created a very cool music piece. Here the final video shot with sound. For the last couple of days i’m working myself a bit deeper into after effects. I must say that it’s a very very powerful tool. For my endeavour i decided to animate my latest ‘citizen erazed’ painting. I want to let it look very ugly and dirty. Like there really nothing is alive anymore. Devestated and destroyed. I will release the clip soon. It will be 35secs long. Sure no big thing. Nonetheless a lot of work went into it. Learned a lot and enjoy the result so far. =) Hope you’ll too. Stay tuned! It is done! After 3 weeks, of learning by doing, i finished my animation project. I prepared a high and a low res. xvid video for you to download. It’s 2:45 minutes long and with sound. I’m pretty proud of the result. It’s a nice feeling to see one of your worlds come to life. I must admit i could have worked another week on that monster, but i seriously have spent too much time on it now. It’s the first time i made an animation or movie/video at all and i hope the work pays off. I also hope you enjoy what you see. File does not play/open? Check out the VLC Player!